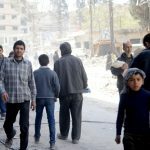 Syrian Arab Army units continued to secure safe passage towards the direction of the water resources building in Harasta, in cooperation with the Syrian Arab Red Crescent, where ambulances and public transport buses are fully prepared to receive people exiting areas where they were trapped by the terrorist organizations in the eastern Ghouta. 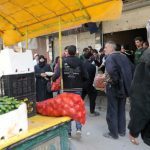 The army and teams from the Syrian Arab Red Crescent have made all the procedural and logistical preparations since the early morning to receive groups of people from the Harasta area. 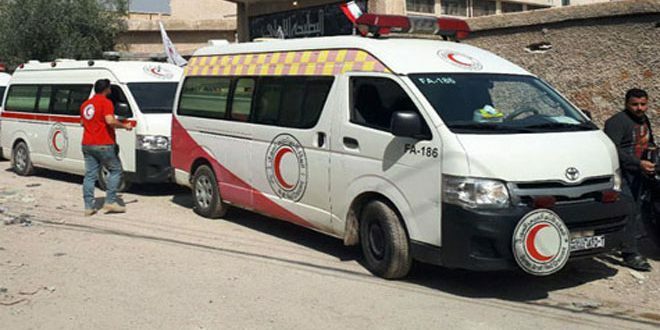 Ambulances and buses with crews are ready and equipped to provide emergency medical services, foods and other aid until civilians can be transferred to temporary residence centers. 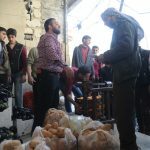 Terrorist snipers prevented them from leaving today by targeting civilians on the corridor. 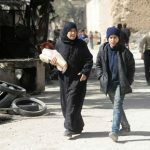 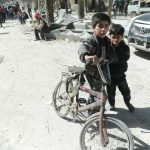 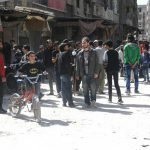 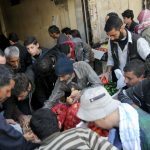 Yesterday, the army secured the exit of about 400 civilians from Harasta. 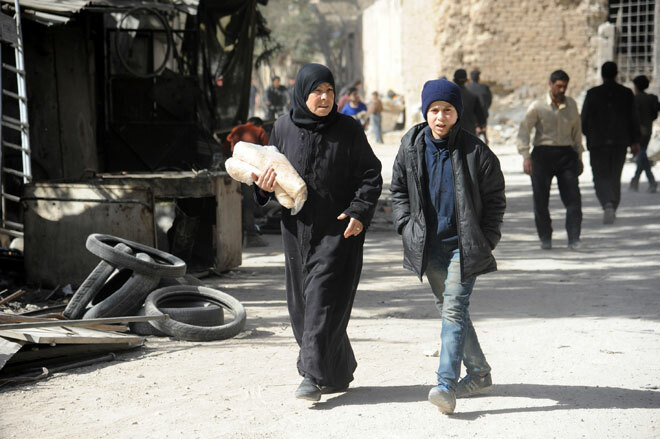 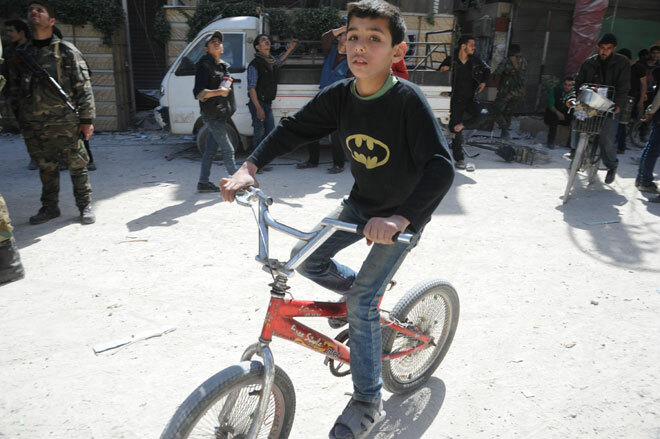 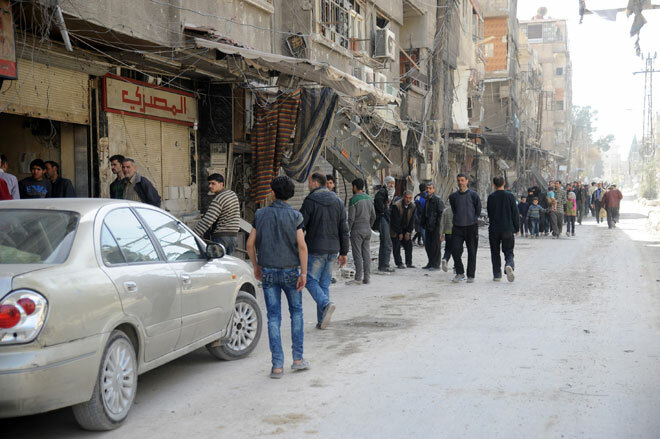 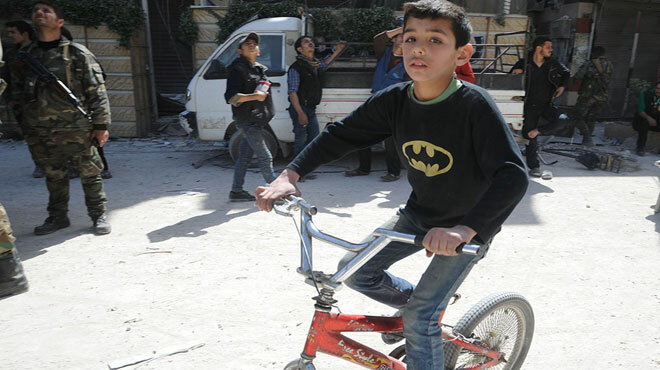 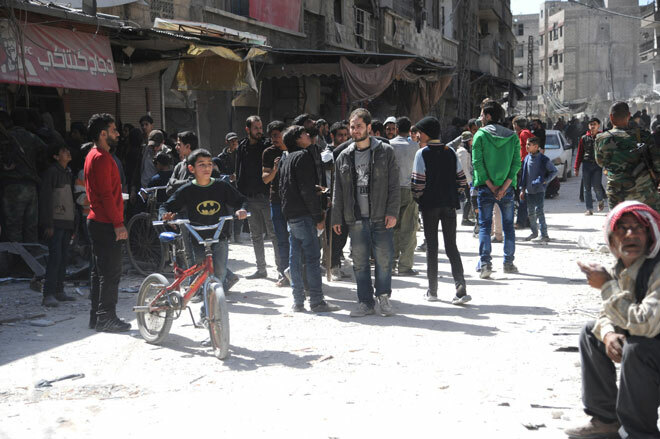 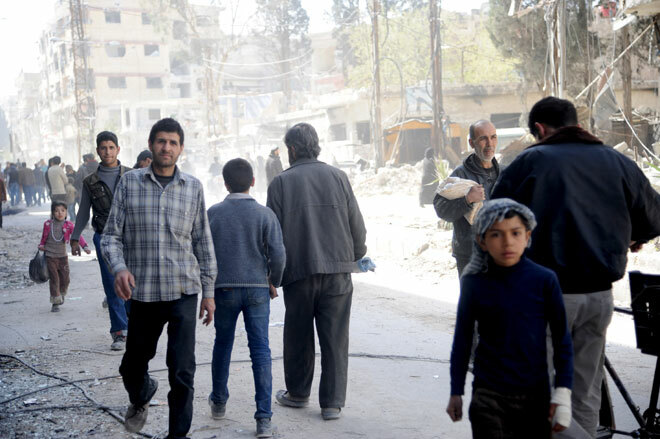 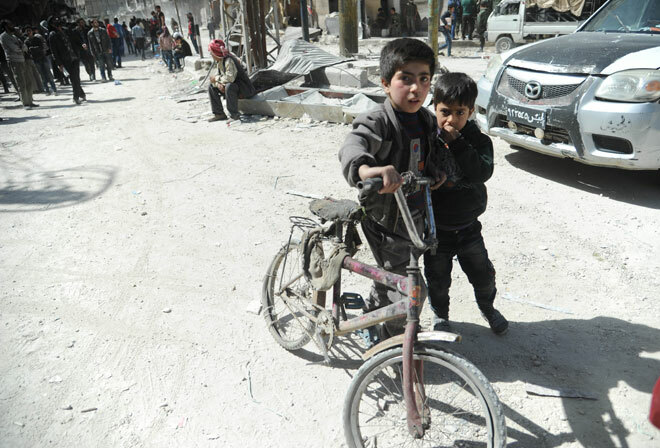 Hamouriya crossing also witnessed the exit of hundreds of civilians, mostly children and women. 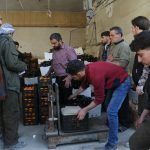 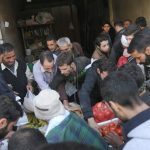 The Syrian Arab Army, in cooperation with the Red Crescent, continues to secure the people inside their homes and to deliver various aid to them in Kafr Batna and Saqba in the Eastern Ghouta. 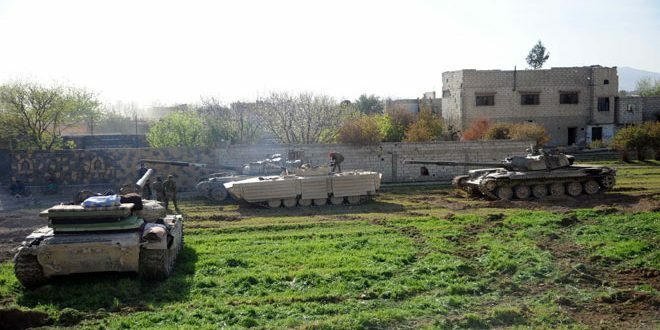 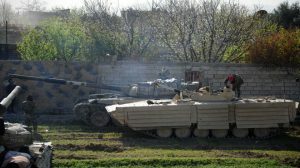 Units of the Syrian Arab Army took control of a number of farms in the vicinity of Ein Tirma during its ongoing operations to uproot the terrorist organizations from the eastern Ghouta in the Damascus countryside in parallel with continuing to secure the people inside their homes and the delivery of various aid to them in cooperation with the Red Crescent in Kafr Batna and Saqba. 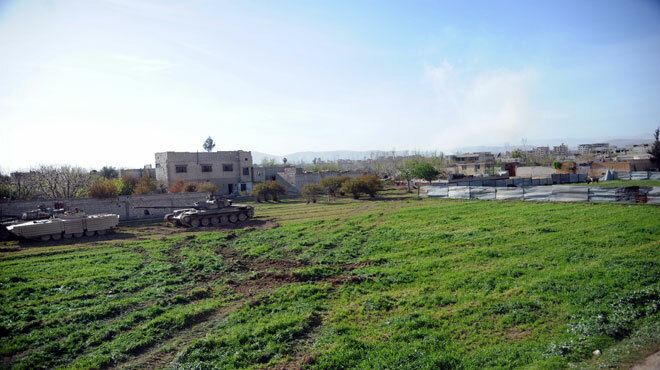 The army continue to advance towards the outskirts of Ein Tirma and use tactics and weapons commensurate with the residential areas and the nature of agricultural land in order to preserve the lives of civilians and property and crops of the people. 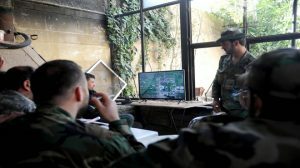 Field commanders at the Ein Tirma axis described a state of collapse and chaos among the terrorists after the army destroyed their fortifications and inflicted heavy losses. 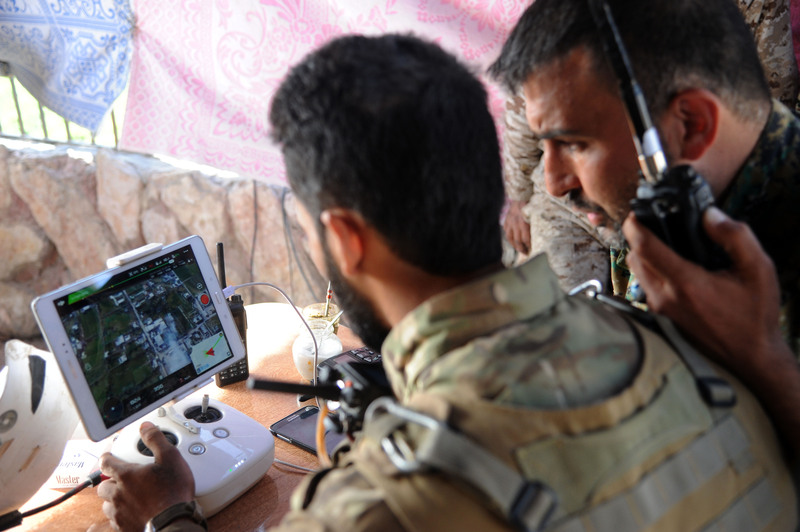 The operations of the army and the advance of the infantry towards the town of Ein Tirma coincided with the destruction of terrorist dens in the towns of Haza, Zamalek and Irbid, causing heavy losses of equipment and personnel. 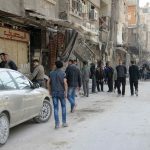 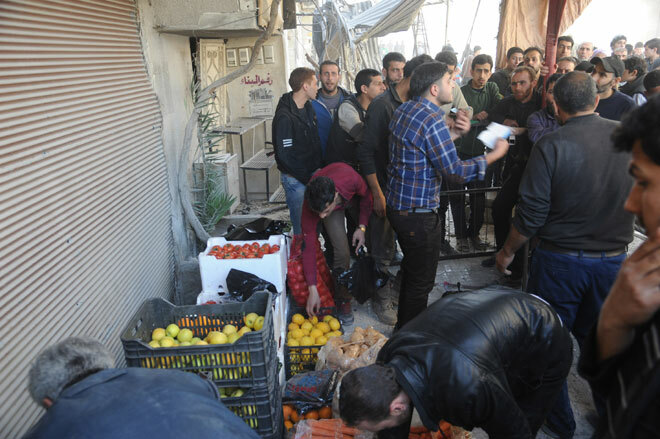 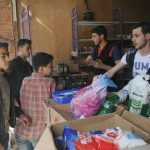 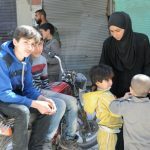 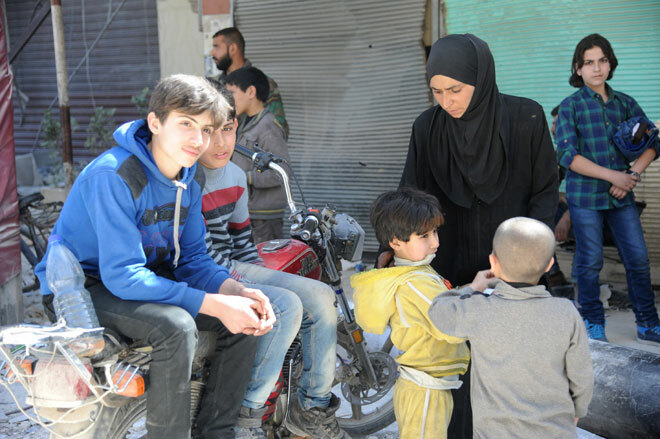 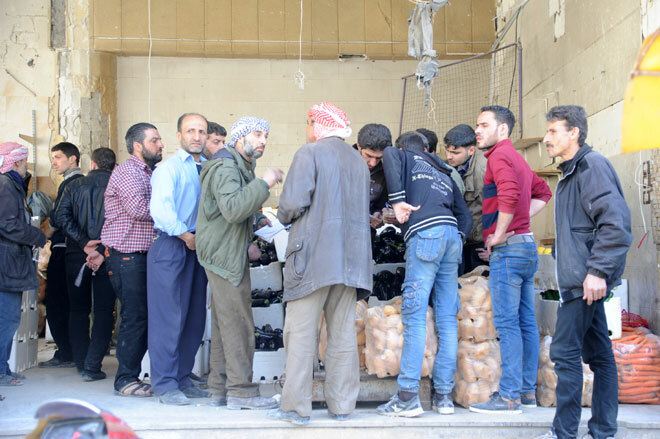 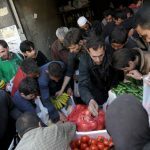 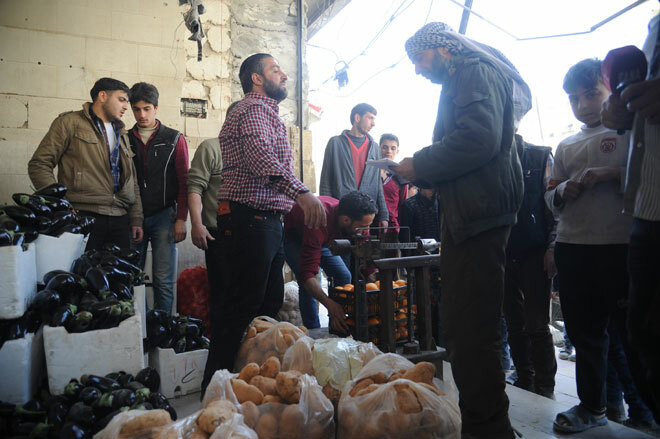 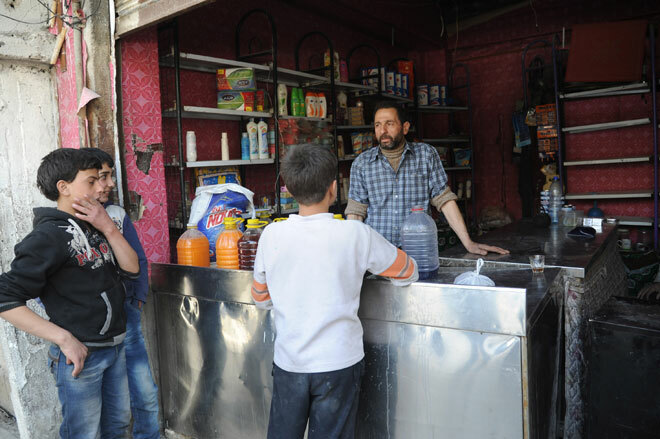 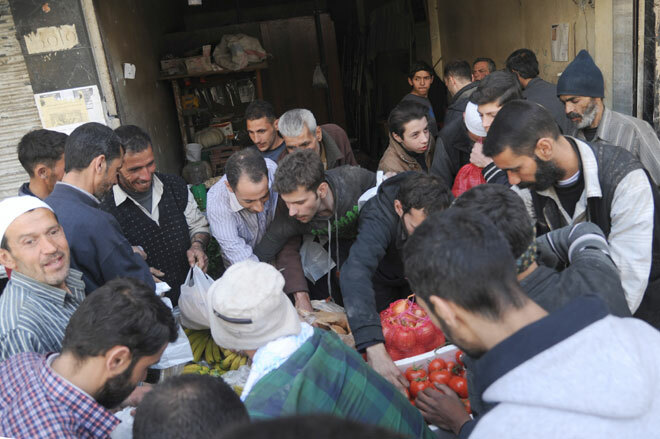 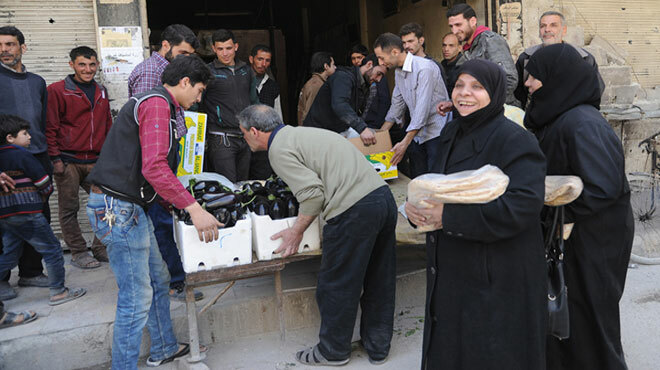 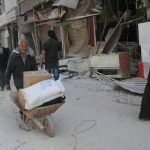 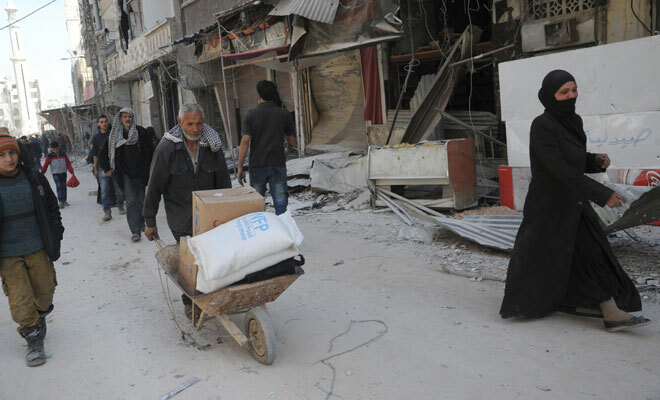 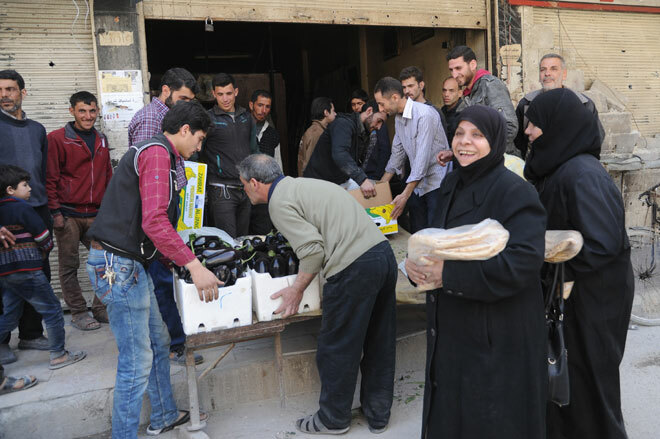 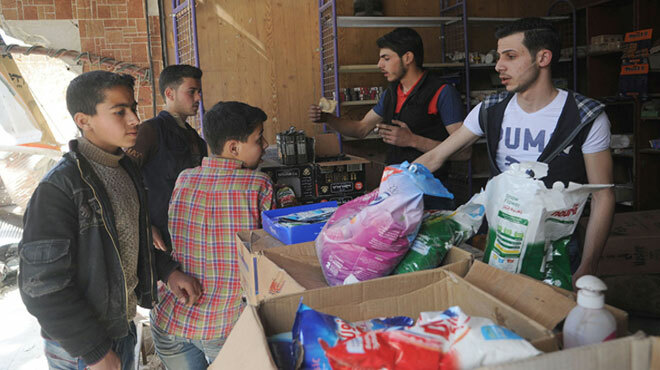 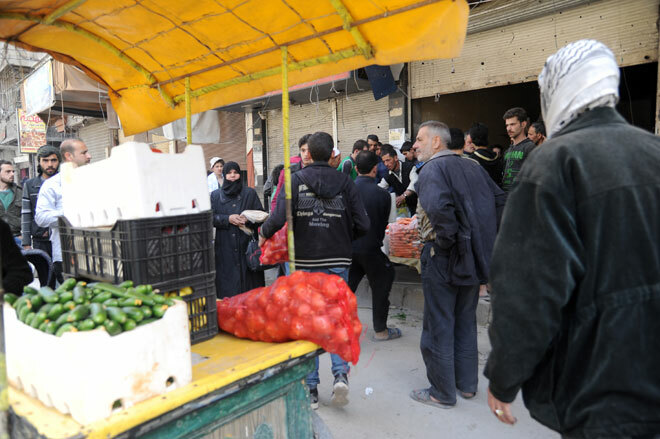 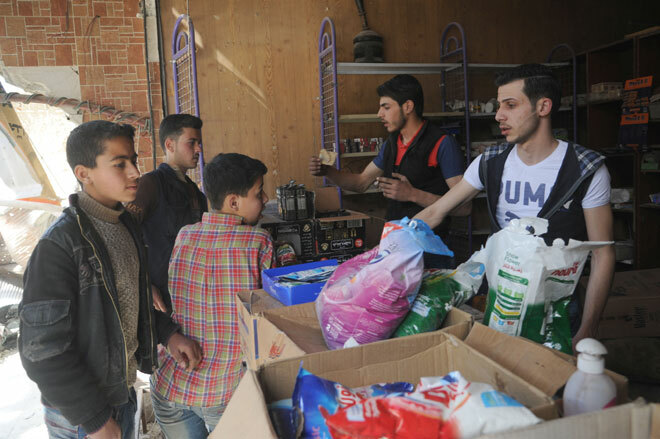 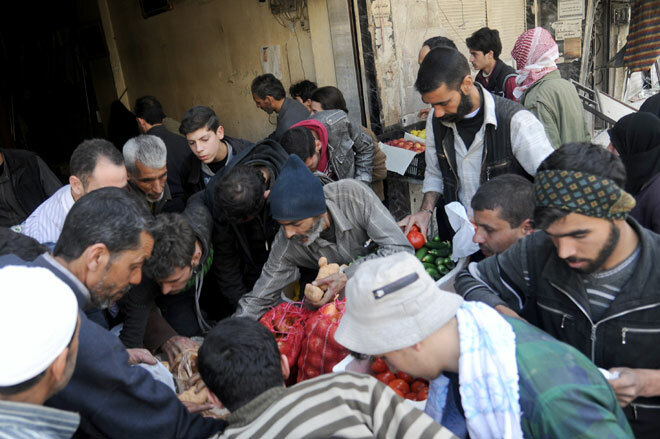 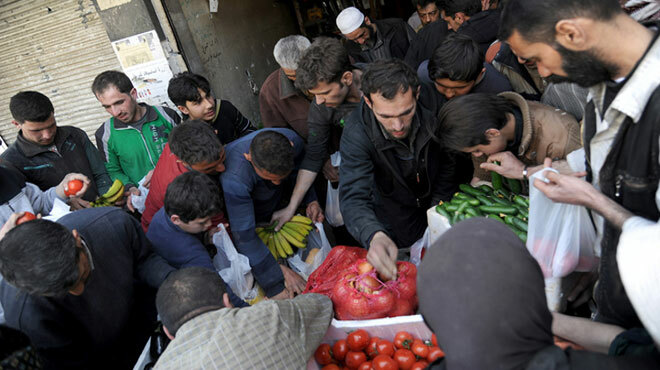 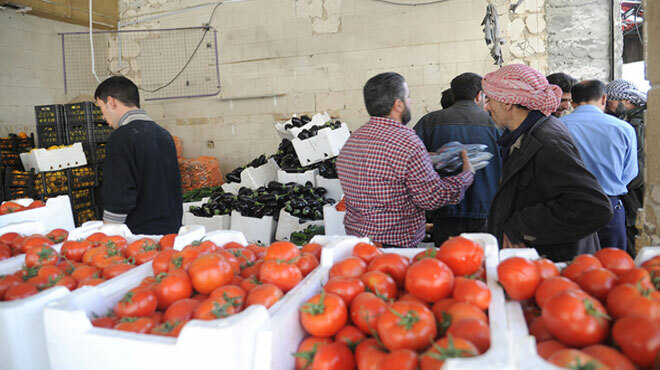 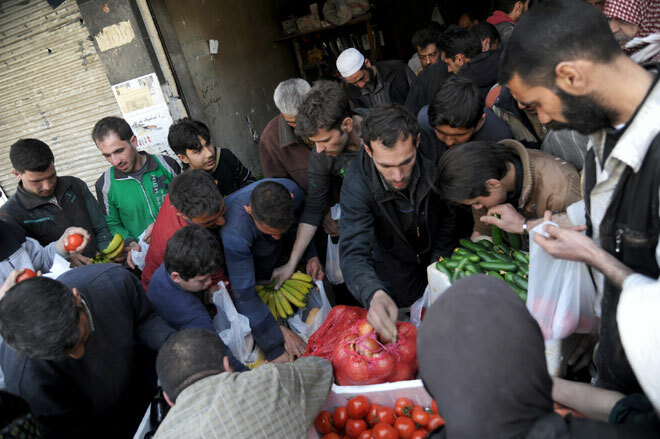 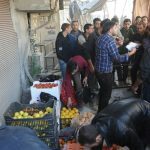 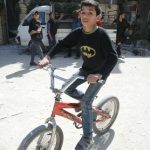 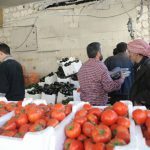 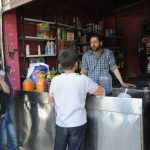 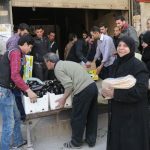 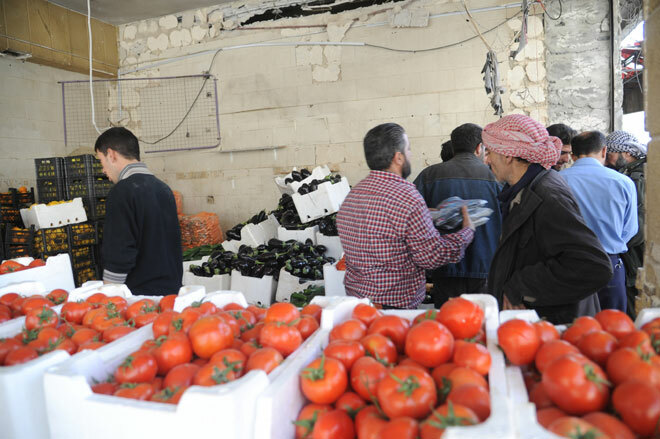 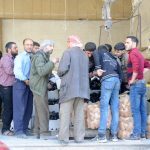 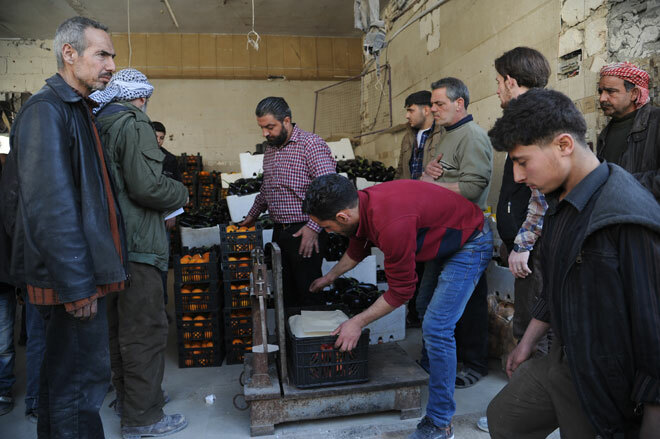 The army units in cooperation with the Syrian Arab Red Crescent continued to deliver aid and basic materials and food to the people in the towns of Kafr Batna and Saqba, where today distributed large quantities of food to the people in the two towns returned by the army security and stability last Sunday. 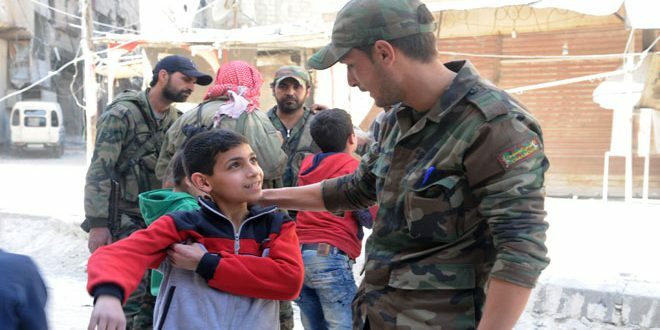 The army units yesterday secured about 25 families in their homes after they were liberated from the terrorists in the Ein Tarma farms, while continuing to secure the corridors in the central and northern sectors to allow civilians to leave.